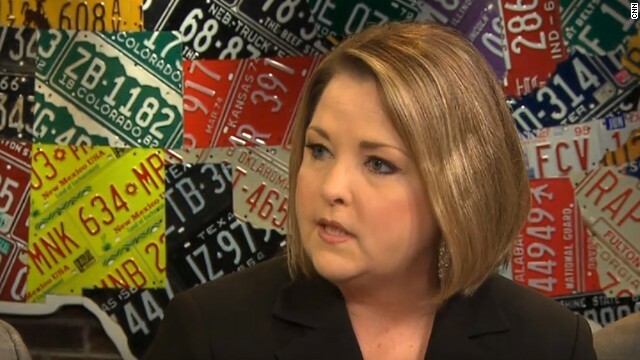 (CNN) - Amy Kremer, the Tea Party Express chairman who's played a major role in elections for the past five years, is resigning. "This has been a really difficult decision for me, but the time has come for me to leave Tea Party Express," Kremer said Friday. The group is one of the largest and most politically active national tea party organizations. It got its start in 2009 as a bus tour that crisscrossed the country multiple times as it held rallies and supported conservative candidates. In the 2012 election cycle, the group partnered with CNN to host the first tea party Republican presidential debate. The timing of her departure comes as the Tea Party Express plans to spend four days in Florida’s 19th Congressional District to support conservative Curt Clawson in a special election. But Kremer says she doesn’t want to dedicate her time to a district that already leans Republican and on a race that will have to take place again in November. Instead, Kremer will be doing consulting for businessman Matt Bevin, who’s challenging Senate Republican Leader Mitch McConnell in Kentucky’s GOP primary on May 20. Still, Kremer described her split with Tea Party Express as amicable. She compared Bevin to other conservatives in the Senate who have bucked the GOP establishment, such as Sens. Ted Cruz, Rand Paul and Mike Lee. While polls show the five-term incumbent has a sizable polling and fundraising advantage, Bevin enjoys the support of major outside conservative groups. Kremer also plans to get involved in GOP primaries in Kansas, North Carolina, and Mississippi—the latter of which is considered the most likely for the sitting incumbent to lose his seat to a challenger. Mississippi state Sen. Chris McDaniel is running against six-term Sen. Thad Cochran. She added she's confident Republicans can take back control of the Senate, and while she "may not be on a bus" anymore, she's still be "working on the same thing I've been working on the past five years." "Additionally, it appeared that they were not interested in any type of "balance'." Indeed. Go to Red State for sharts and giggles sometime, create an account and then very politely and with facts debunk some of the nonsense they rant about. Your post and account will disappear within minutes. "History proves that Democrats plant questions at their political forums, George Soros & others funded Occupy Wall Street thugs (rapists & vandals), then Obama-Democrats gave billions to ultra-wealthy while harming blacks, working class, & middle class. Tea Party is a decentralized movement of working citizens trying to make our government honest again & this terrifies Chicago-corrupt Leftist-extremist Obama-Democrats." History proves Der Schwine Democrats plant ze questions at their political forums, Herr George Soros & others funded Occupy Wall Street thugs (rapists, brownshirts, & vandals), then Obama-Democrats gaben uber-kronin to ultra-wealthy while harming blacks, working class, & middle class, und der Je ws. Schnell! The fact that the TEA Party Express has paid staff and those big fancy buses going around the country ginning up controversy ought to demonstrate just how far away they are from being "grassroots". Hopefully, this is the Republican Party trying to take their party back from the Texas oil lunatics that fund the TEA Party. So she's leaving the tea bagger express but not really. Another right wing flip flopper or right wing do as the screecher did put yourself out there to collect money from John's, excuse me, fools! @Sniffit: "THE NUMBERS DON'T LIE." Falling on deaf ears, as far as teatrolls go, unfortunately. Karl Rove figured it out a long time ago: Pull enough knee-jerk hot-button issues together, and you can get scared, uninformed, desperate people to vote against their self-interest time and again. The only answer is for the rest of us to vote the lap dogs of these 1%-ers out. Not just at the national level, but at the state and local level, too. Because we're being squeezed – and the strategy is to pack the states with other lapdogs, while simultaneously whining about "States' rights." It's all part of a master plan for the likes of the Koch brothers to get our country exactly where they want it: at their mercy, exploited endlessly, without regard to any consequence. Greed is a very powerful thing. HILARIOUS watching Guns Over People teatards tremble as they walk the plank toward another November. Can't wait to see Sheldon Adelson,Rupert Mourdoch,Rove,Grover Norquist and the GOP stuff Jeb Bush down their throats Mitt the twit style. Guns Over People teatards involved. ALWAYS follow the money. The Tea party has destroyed the once great Republican party. I wonder what she thought of the FAA when it was helping to keep her safe in her previous job as a flight attendant? I guess the government was great when it benefited her. The Tea Party is about as grassroots as the Communists in the Soviet Union. Everything is being controlled, more and more, by a small group of wealthy people who have hired professional political operatives to carry out the actual work. Anyone who still thinks their local cell of the Tea Party movement has any real power is delusional. Amy Kremer is the last of the Tea Party originals, and it appears as though she has sold herself out for her 30 pieces of silver as well. Good luck to her and am glad she gave her effort and time to help many of the Silent Americans find their voice! Teaklans are gone to dogs with GOP and rethuglicans. No one with brain likes these national animals.